What Has ACEC/MN Done for Me? 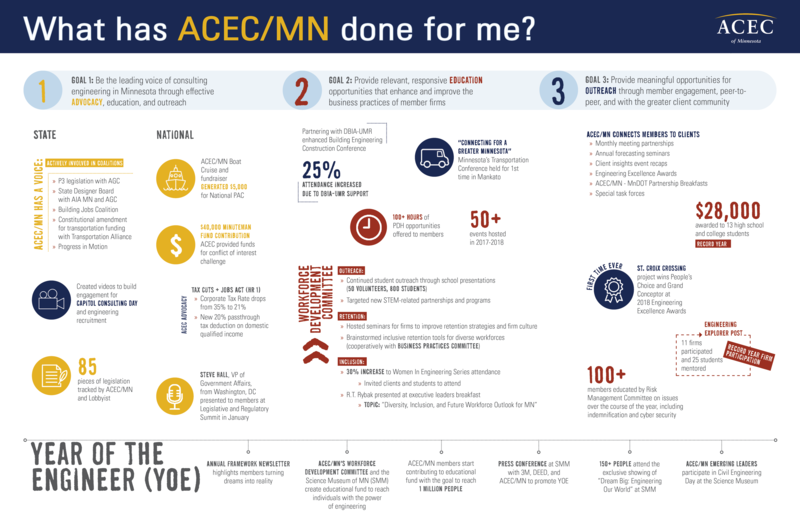 ACEC/MN’s Marketing & Communications Committee created a document for the membership to outline statistics and graphic images that highlight committee and board activities in the 2017-18 fiscal year. These activities directly correlate to ACEC/MN’s strategic plan and the association’s initiatives. A copy of the document was distributed to attendees at the May 18 Annual Meeting and included in this year's annual dues mailing. Download the infographics document here.